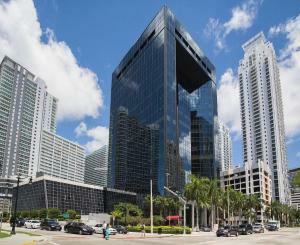 Virtual Office Brickell Avenue Miami is centrally located in the heart of the financial district. A prestigious address for professional businesses with friendly bilingual staff, attending to your companies needs. Just minutes away to restaurants, hotels and the central business district of Down Town Miami. Easy arrival and departure over Interstate 95 with about 15 minutes driving time to Miami International airport. The modern executive office suites and technology satisfy your most professional demands, you can start your Virtual Office Brickell Avenue Miami corporate identity for a fraction of the cost compared to traditional office space. Whether you just want to start with a virtual office presence or choose one of our Miami Executive Office Suites for a permanent solution, you will be delighted with the services. Establishing your corporate identity can be completed within 24h in most cases. Simply choose this location to start your virtual office services with a professional commercial business address and mail forwarding. As your company grows, so can your office requirements, choose from convenient phone answering services or add on a virtual assistant, use office space and conference rooms by the hour, you only pay for the exact usage. Never bother with the repeating cost of traditional office space, all virtual office contracts are short term and can be scaled to your particular needs. The Virtual Office Grand Central Station is easily be reached over Interstate Road 495 minutes away from the crossroad FDR Drive and only one block away from public transportation. The driving time to La Guardia just takes a notch over 20 minutes, which makes this location preferred to the frequent traveler.